Belmont School of Music alumna Meredith Maddox Hicks was honored with the 2016 Encore Award on September 15 on Belmont’s campus. The evening consisted of a presentation recognizing Hicks’s achievements in the field of classical music as well as a concert performance. Hicks,a violinist, graduated from Belmont in 1993 with a Bachelor of Music degree in performance. She received her Master’s degree in Music performance in 1998 from Florida State University and continued on to complete her doctoral coursework. 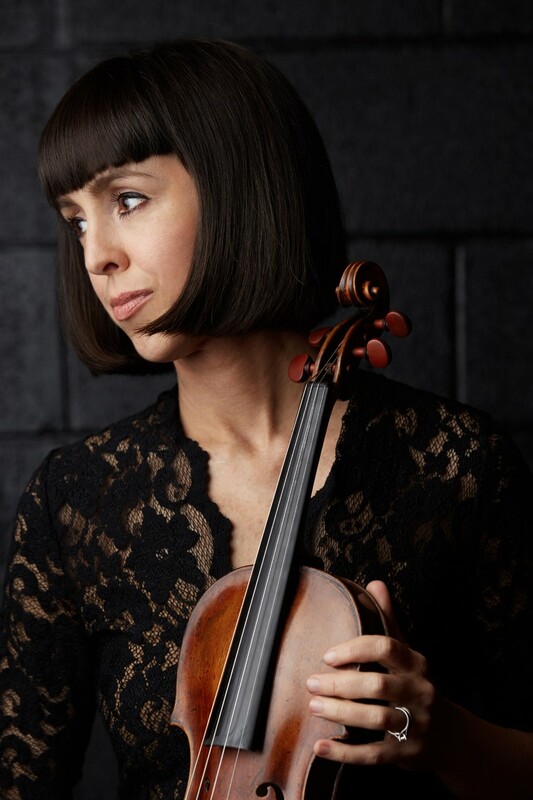 She has been teaching as an adjunct violin and viola professor at the University of Arkansas in Little Rock since 2007 and has also served as a full-time core member of the Arkansas Symphony Orchestra since 2002. Hicks has taught at various summer music festivals including Wildwood Academy of Music and Arts, Faulkner Chamber Music Festival, Little Rock Adult Chamber Music Festival and camps at Florida State University and Stephen F. Austin University. During Hicks’s time at Belmont, she received a music scholarship and was the winner of the Concerto Competition in both 1990 and 1993. She mainly studied under the guidance of Assistant Professor and Coordinator of Strings Elisabeth Small. Hicks was also a member of Belmont’s chapter of the Pi Kappa Lambda National Honor Society and the music sorority Sigma Alpha Iota. The Encore Award was created in 2008 to honor a Belmont University School of Music alumnus for achievement in the field of classical music. Previous Encore Award honorees include Clifton Forbis (2008), Daniel Weeks (2009), Drs. Daniel and Sharon Lawhon (2010), Maestra Teresa Cheung (2011), Dr. Alfredo Colman (2012), Travis Cottrell (2013), Greg Walter (2014) and Tina Milhorn Stallard (2015).